Following some discussions with Barbara Strickland (Amorina Rose's blog) about Amazon Categories and Keywords, and remembering some of what Lama Jabr explained in one Amazon publishing seminar, and after reading this article Six Things You Should Be Including in Your EBook (and Probably Aren't) by David Kudler, I decided to revise all three of my books for Amazon. Make sure I had links to each book in the series so far. Follow the suggestion to add a review link right at the end of the book. Make sure my categories and keywords were good. It took me about a day to update the first book, four hours for the second, and an hour for the third. Hopefully this article will help you tweak your first book in less time than I took for mine. The tweaking is in two parts: tweaking the copy of your MS (probably in .docx or .odt format), and editing your ‘book details' on Amazon. While doing this, I found Calibre doesn't preserve hyperlinks on images when you convert to .mobi format, which is what I had been using for upload to Amazon. But the developer, Kovid Goyal, said that format was pretty obsolete, and recommended a different one. I tried epub, and that was just fine. merely because I myself am leery of systems that earn money from people clicking on links. Granted, I think it's only a few cents, and only if they actually buy the product, but still... Maybe that's just me being weird, but maybe other people have a distaste for that, too. I spent some time grabbing images for those buttons to make my own. I then spent 90 mins finding image editing software that would let me combine them together, for Linux. Lots were recommended, but apparently the idea of a canvas on which you simply drop some images and move them around is a bizarre mental model. Well, apart from the Gimp, but I thought if I could find any other program to do that, I'd probably save time compared to working out how to perform even that simple feat using the Gimp's diabolical UI. In the end, I found the KDE program KolourPaint, which was very simple and intuitive — it was easy to open up images, and copy them onto a single canvas and then move them around. Before I did any of this, I first contacted Amazon directly to ask if it was okay to use generalised links that pointed to the reader's local Amazon store, instead of to the US one only (say). I specifically asked if it was okay to use bookshow.me. The representative responded and said that was fine. Previously my Afterword asked people to review the book, but didn't offer them any help to do so. In contrast, the Six Things article described how to construct a link directly to a "rate/review" page for your book so the reader just needs one click, with no typing or searching to arrive there. I also added a note that reviewers will need to login (to Amazon or Goodreads respectively), to be able to write a review. "I hope you enjoyed reading this. 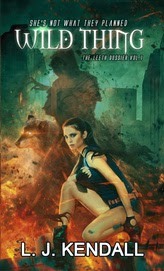 If you did, consider rating and/or reviewing it. Thank you!" The Six Things article used an image to click on for the reviews, which I think is more appealing and ‘button-like' to click on than just text. So I grabbed some images from Goodreads and Amazon to make the buttons. 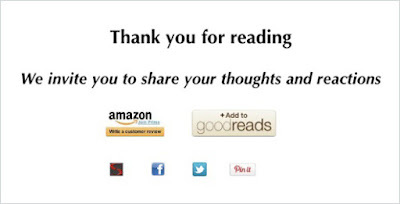 I feel that's safe, as Amazon owns Goodreads, and I'm only directing readers to Amazon sites. If you're not selling through Amazon, of course you'd need to pick review sites related to your retailer. For Amazon, you determine your Amazon book ID (ASIN) the same way: find your book and examine the URL. I also thought it made sense to repeat the links to all the books in the series at the end, since at that point the reader is more likely to know if they'd like to read more of your work. It turns out that everything on that page is essential reading. I had ignored it. So my keywords were not doing what they should. E.g. 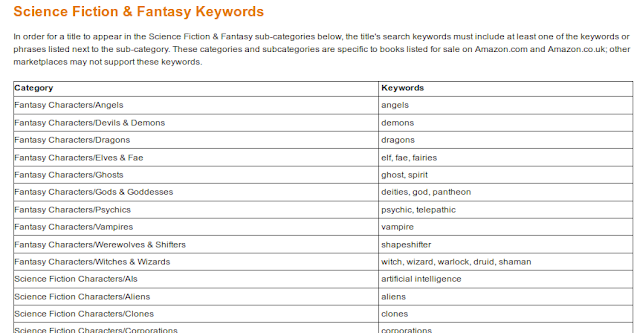 I didn't know you had to also apply one (or two) of your categories as keywords, for certain Amazon searches (category searches?) to work for your books. Watching the video that's also on that page suddenly made a whole lot of things really, really clear. E.g. the stuff at the 3min40s mark where she says something like "Words in the title, categories, and description, will already be part of the search criteria: try to say something new". Also, she says you should play around with the keywords and see which work best — I've never done that! It's worth watching — maybe several times. "Browse categories are the sections of the Amazon site where customers can find your book. Think of browse categories like the sections of a physical bookstore (fiction, history, and so on). "You can choose up to two BISAC codes for your book. We may also assign additional browse categories depending on your BISAC selections and assigned keywords." The article also includes tips on choosing categories, and you should definitely read it. Now, for each of my books I'd just made up keywords that I felt best reflected it, and entered those. I suspect I'm not following best practice even now, but at least I'm choosing keywords from the above list. I assume these are words which are most used by readers in Amazon searches. 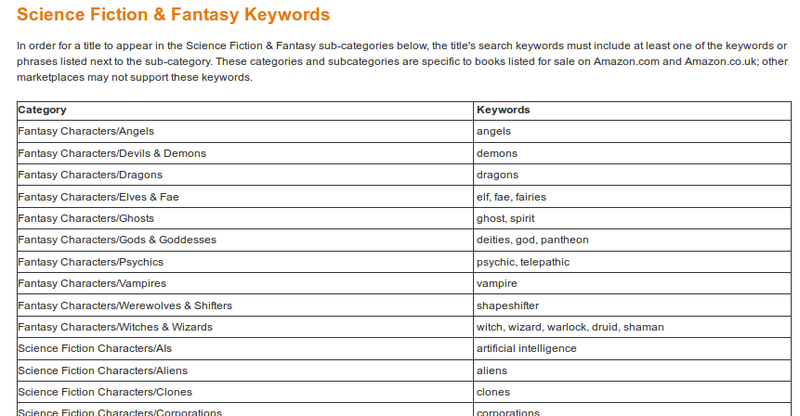 You might be able to discover them by typing a search term and seeing what words auto-complete in the Kindle store? So, that's it: a bit fiddly, bit not too bad. I don't expect dramatic changes, but hopefully the rate of reviews will climb from nothing (for almost a year) to a handful of new reviews! What I've failed to do (yet) is add the attractive-clicky-button links to make social media sharing of your book super easy. I think that might even be the most important thing to do! The Six Things article describes how to set up sharing links for Facebook, Twitter, and Pinterest. Thanks for this post, Luke. There's a tremendous amount of fabulous information in it. I appreciate your sharing.